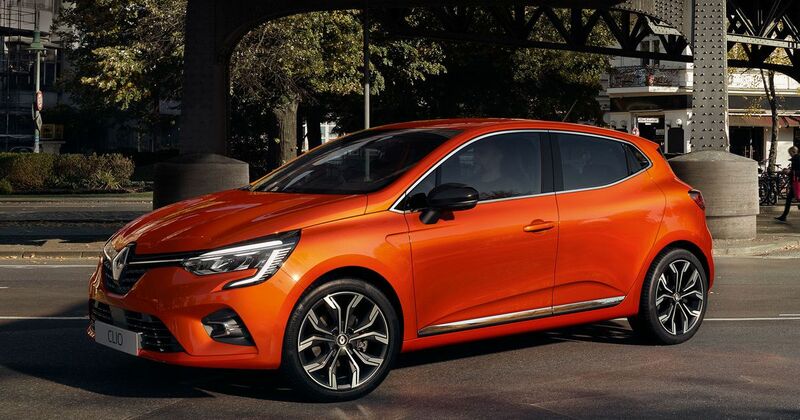 After revealing some interior images of the all-new Clio on Monday, Renault has followed up with these exterior shots. 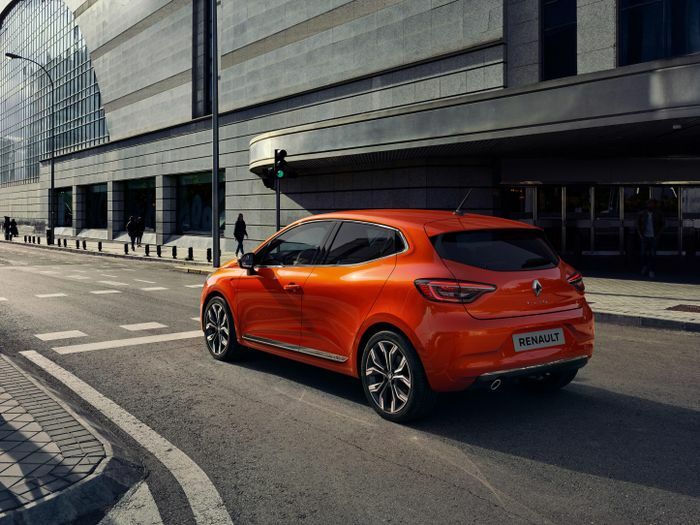 And on first glance, it doesn’t particularly look ‘all-new’ - contrasting the radically revamped, premium-look cabin, Renault seems to have opted for a more evolutionary approach for the outside. Is that a bad thing? Not necessarily - the body of the MkIV was already handsome enough and well proportioned, and this tweaked shape looks rather smart with a Megane-ish front end. We don’t know precisely what will be behind that new face just yet, but a range of 1.0-litre engines - both with and without turbochargers - and 1.5-litre diesel units are expected. Eventually, there will be a hybrid. 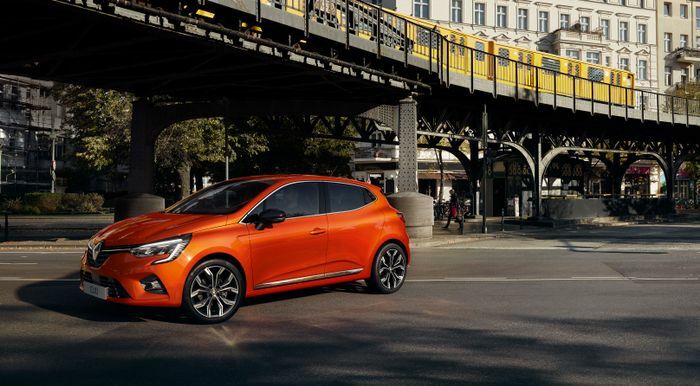 Despite the familiar look, Renault says the fifth-gen Clio is made entirely from new parts. It’s 14mm shorter than the old one, but roomier inside, thanks in part to new front seats which also hug the driver and passenger better. 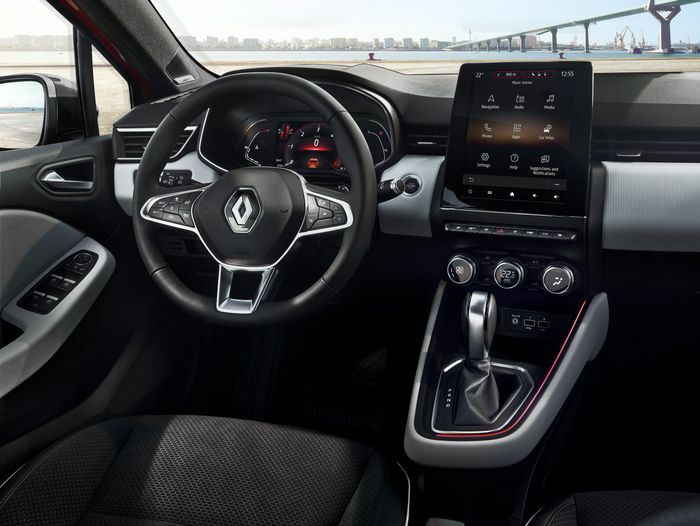 As previously revealed, the physical instrument cluster has been replaced with a seven-inch display, or optionally one measuring in at 10 inches. 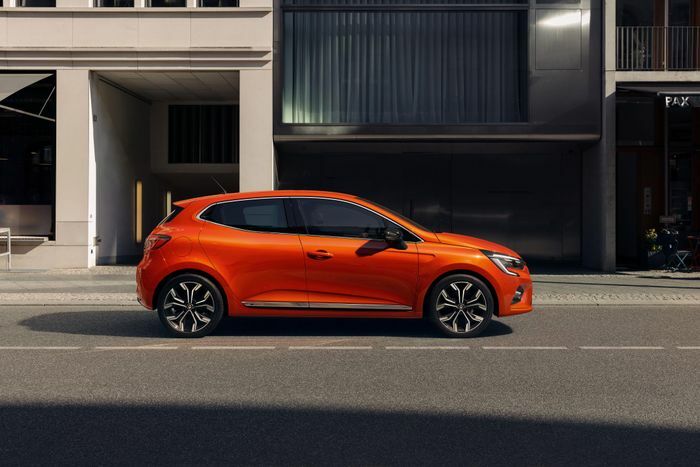 It’s teamed up with a huge portrait-orientated central 9.3-inch infotainment unit, giving the Clio more screenage than anything else in class. It’s 30mm lower for better aerodynamic properties and “extra athleticism”. If you want it looking even more ‘athletic’, you can go for the new RS Line trim with its ‘F1 blade’, honeycomb grille and 17-inch wheels. Inside the RS Line cars, you get sports seats, aluminium pedals, some red accents, a perforated leather steering wheel and a smattering of not carbon fibre. All told, there are eight different interior trim designs to pick from, along with 10 body colours which can be further spruced up with one of three customisation packs. TL;Dr, you’ll have plenty of choice. The car will be revealed in full at the Geneva Motor Show in March, and yes, there will almost certainly be a proper Renault Sport version at some stage.